The eleventh day, of the eleventh month, on the eleventh hour – that was when the armistice took effect in 1918 that ended the “War to end all wars.” World War I was a horrific struggle, which included millions of battlefield casualties throughout its four long years due to weapons innovation. It changed the makeup of warfare forever afterwards. England, Germany, Austria, and France lost an entire generation of young men, due to new battlefield weapons such as the airplane, chemical warfare, the tank, and most importantly the machine gun. Development of new and horrendous weapons occurred, while battlefield commanders refused to properly adapt tactics to counter the new type of warfare quickly enough. The end result was a huge numbers of casualties, caused more than often by out of touch leadership. The American effort was centered in the Meuse-Argonne area, along the Meuse River. 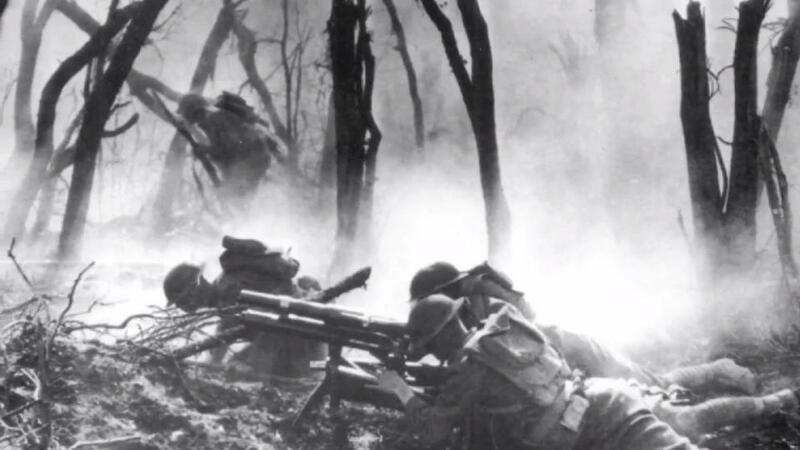 Marines were ordered to cross the river in the early morning hours of Armistice Day, after the 0540 agreement had been signed, and in doing so took 1,100 casualties. The U.S. Army’s 89th Division was ordered to attack and take the town of Stenay on the morning of November 11. The town was captured at a cost of 300 American casualties, becoming the last town captured in World War I. In all, over 3,000 Americans were maimed, wounded or killed during the last few hours of the war; in fact the last allied soldier killed in World War I was American Private Henry Gunter who was killed at 1059 hours, one minute prior to the armistice taking effect. His unit had been ordered to advance and take a German machine gun post. The Americans did not know the war was about to end; however, the Germans did. They tried to stop the Americans from attacking, but when it was obvious that they could not, they opened fire, killing Gunter. When this writer was a young man I had the honor of speaking with several World War I vets, who were members of the same VFW post that my dad belonged to. Two of them were maimed. One, a Marine lost an arm fighting at Belleau Wood, while the other, a soldier, lost an eye on November 11 along the Meuse River. On Armistice Day, now called Veterans Day, they marched proudly, dressed in their World War One uniforms. The soldier wearing olive drab pantaloons with brown brogans. His trousers were tucked into khaki leggings. His blouse was buttoned to the throat, with a high collar, and on his head he wore an olive drab campaign hat. On his chest he proudly displayed his campaign ribbons and Purple Heart medal. The Marine wore his brown dress uniform with a leather belt around the waist of his blouse. He wore a Marine cap, not unlike the one they still wear today, adorned with the eagle, globe and anchor emblem of the USMC. On his chest he had several ribbons and a Bronze Star with V device, as well as his Purple Heart. The World War II and Korean War members also dressed in their uniforms and all marched proudly down the Main Street of our city, from the VFW hall until they reached city hall, and made presentations of a flowered wreath at the Soldiers & Sailors Memorial which had the names of every military member killed in action from our small town, chiseled into it from the Civil War until the Korean War. The citizens of our town lined the streets and cheered the heroes while waving small American flags handed out by the local hardware store. The onlookers were just plain proud of the veterans, and of America. Veterans Day was an important day to Americans in the early 1960s, so many with fresh memories of World War II and Korea. Back then there was still an active draft, and more than 20% of American men were veterans; unlike today where only 1% bear the burden for everyone else, and are reviled by the same Democrats that just took control of the House of Representatives. When the Cuban Missile Crisis happened, it only reinforced the proud traditions of America’s military might, and the name of one of our own was chiseled into the monument; a friend of mine who had dropped out of high school and joined the Navy. He worked in the engine room on a destroyer, suffered heat stroke in the stifling heat of an oil fired boiler room while working 12 hour shifts to keep the ship on the line, and died during the blockade of Cuba. Back in 1960-62, most Americans were proud of America, our accomplishments and remembered, some first hand, the sacrifices made to keep us free. Then the majority knew that freedom isn’t free, it is earned with the blood and sacrifice of those who wear the uniform of our armed forces and are willing to put their life on the line to protect the U.S. Constitution. Today’s socialist hoards, the far leftists of the Democratic Party, who protest American achievement, are anti-American and despise the military, are now in control of the budgets for all branches of the military. Openly anti-American congressmen and women, like Kamala Harris, Cory Booker, Maxine Waters and the newest and youngest female congresswoman, Alexandria Ocasio-Cortez, who is openly socialist and anti-American, now are the people who control the fate of our military. Back in the early ‘60s, the dozens of World War I vets marched at the head of our Veterans Day parade, still called Armistice Day then, in honor of them being the senior members of the VFW Post. It was one hundred years ago on this Veterans Day that that war to end wars ended on November 11, 1918. The American Legion was formed in 1919, to help aid the thousands of war veterans who came home, and was instrumental in causing the veterans to receive the benefits that we all enjoy today. Most reading this never had the opportunity to talk to a member of the American Expeditionary Force that put an end to four years of conflict in Europe. When they came home there were no veteran benefits, it was their tenacity that led to VA hospitals, as badly run as they are, and all other GI benefits. This writer went to college using the GI Bill. This Veterans Day take a moment to remember the sacrifices made by those who served; so that Saturday Night Live can make fun of a wounded warrior on national television and somehow think that it is a perfectly normal thing to do. Veterans took an oath to protect the Constitution, and part of that document includes the freedom of speech. So yeah, the cast of Saturday Night Live does have the right to make fun of wounded warriors. The man they ridiculed protected their right to do so at the cost of his eye. This writer, a proud Air Force veteran, feels shame that this nation thinks anti-Americanism is acceptable, and pushed by the media and Hollywood types who belittle every service member every chance they get. Have you watched the proliferation of television and movies lately that use ex-servicemen as the evil bad guys in their plots? No wonder today’s young people hold the military in disregard. While there are presently many problems with our military, which U.S. Defense Watch has so aptly shown, on November 11, I will fly the American Flag alongside my USAF flag and let the world know that I am a proud American Veteran. I would love to see American flags flying all across this nation honoring veterans and America, to show those who openly hold this nation in low regard that most of us do not agree. What began as Armistice Day one hundred years ago, is now the proper time to demonstrate your allegiance to the Flag and to the greatest nation on God’s green earth. Thank you, Airman, for serving!